The attack happened at about 8:00 pm (1900 GMT) on Thursday in the village of Kamuya in Borno State, near where Nigeria‘s most senior army officer Tukur Yusuf Buratai has a home. He initially gave a death toll of nine but later told AFP: “This morning (Friday), some of us went back to the village. “We found 14 dead bodies. Some of them were decapitated and their heads placed on their torso. “The six injured victims are receiving treatment at the General Hospital in Biu,” he added. 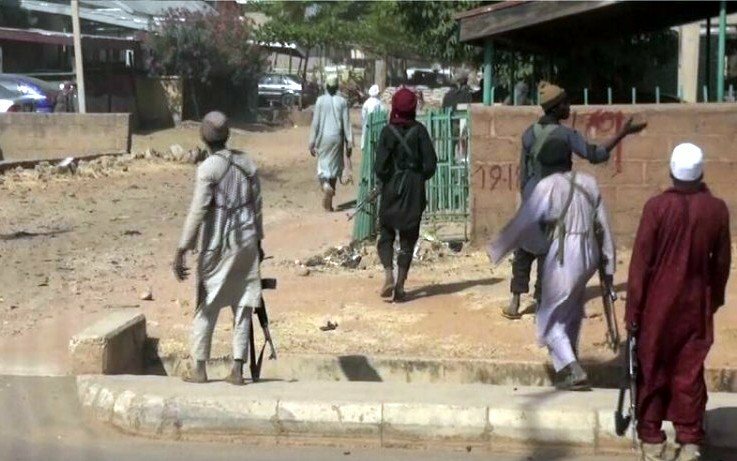 Kamuya is the hometown of Buratai’s mother and was previously attacked in a similar raid in July. Nearby Buratai village, 10 kilometres away, was also hit.